Now and again, we come across tiny programs that simplify our daily life. 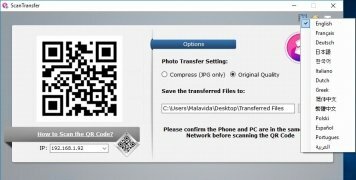 The transfer of files between an Android smartphone or iPhone and a PC could have been quite bothersome sometime ago because to be able to move over files, applications or photos from one place to another we needed a USB cable or to use a Bluetooth connection that was probably not as fast as we'd have liked. Now, modern-day technology allows us to transfer information from our smartphone to a PC through a WiFi network. 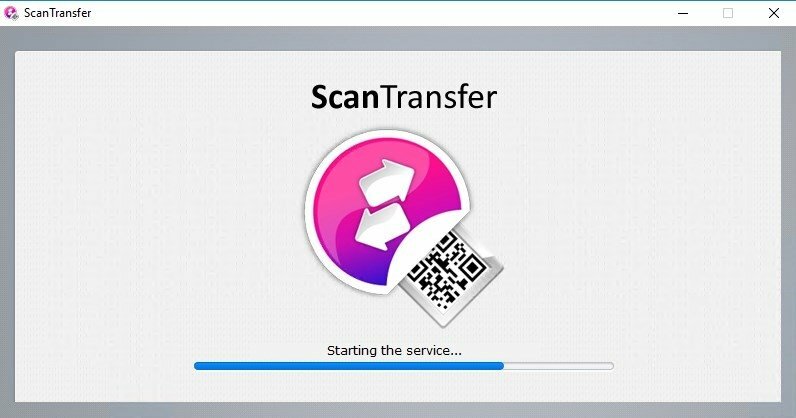 That's why we're introducing you to ScanTransfer that, apart from allowing us to transfer photos and videos from our mobile device to our computer, doesn't require the installation of any kind of application on our phone. 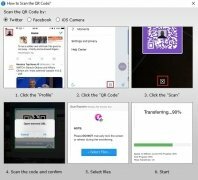 Transfer data from your smartphone to your PC by means of a QR code. Step 1: make sure that the phone and PC are connected to the same WiFi network. Step 2: download and install this software on the computer to which you wish to transfer the information. 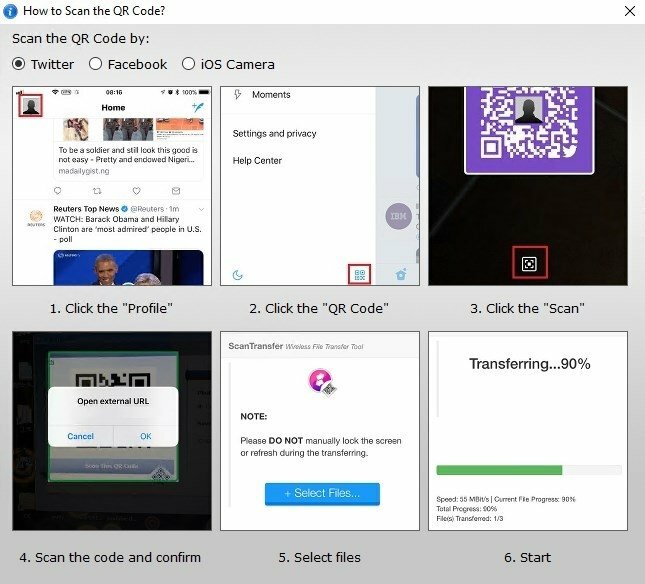 Step 3: scan with your phone's camera or your Facebook or Twitter account the QR code that appears on the main interface of the program installed on your computer. Step 4: you'll be able to send as many files as you want, one by one, or all at the same time. 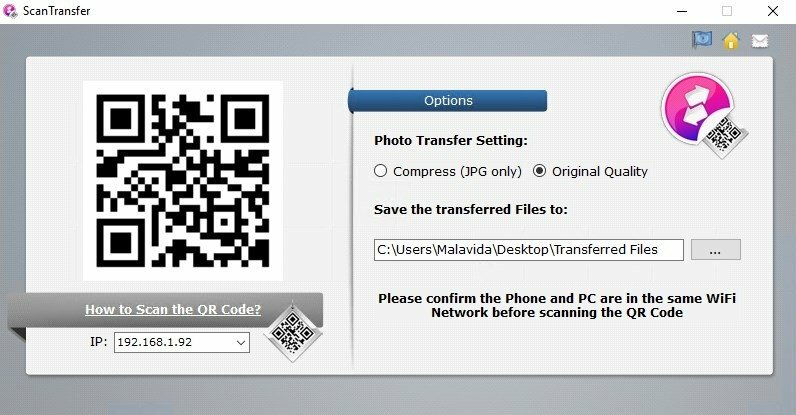 Finally, we have to mention that, as the transfer of files takes place over a Local Area Network (LAN), the system can protect our privacy and the integrity of our files, as well as allowing the transfer of files from several mobile devices at once. Minimum operating system requirements: Windows XP.